Statue not sold separately, but zushi may be purchased separately. The God of Wealth, Good Fortune, & Warriors. Champion against Evil, Dispenser of Buddhist Treasures and Earthly Treasures, and Guardian of Holy Places. Depicted with his traditional three-pronged vajra to fight evil, while holding the pagoda-shaped treasure house and standing atop an evil demon. 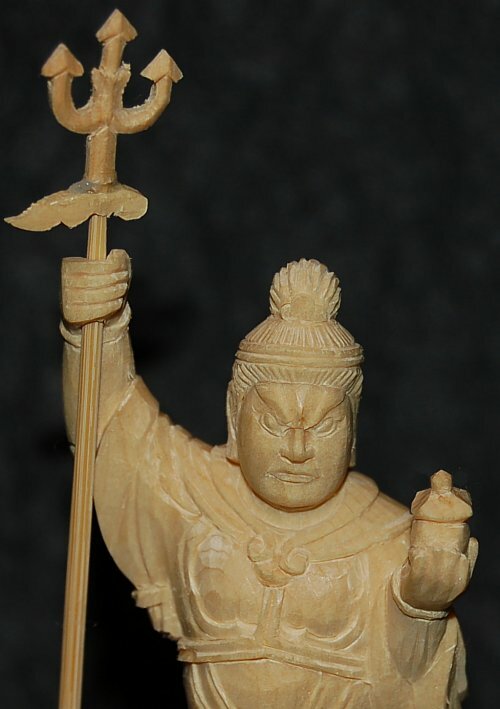 One of Japan's most venerated Deva Guardians. Also one of Japan's Seven Lucky Gods. 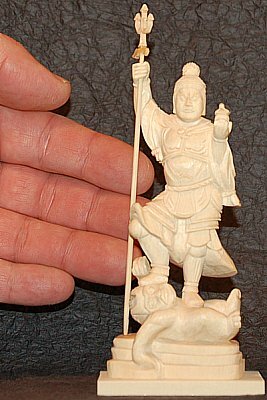 See background notes for more on Bishamon iconography.